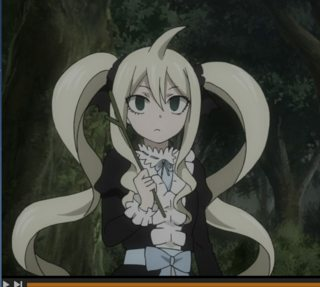 Why does Mavis have wings in her hair? She looks cute and all, but why does she have wings sprouting from her roots. Are they supposed to help her with something? I would have to vote for the hair accessory theory. 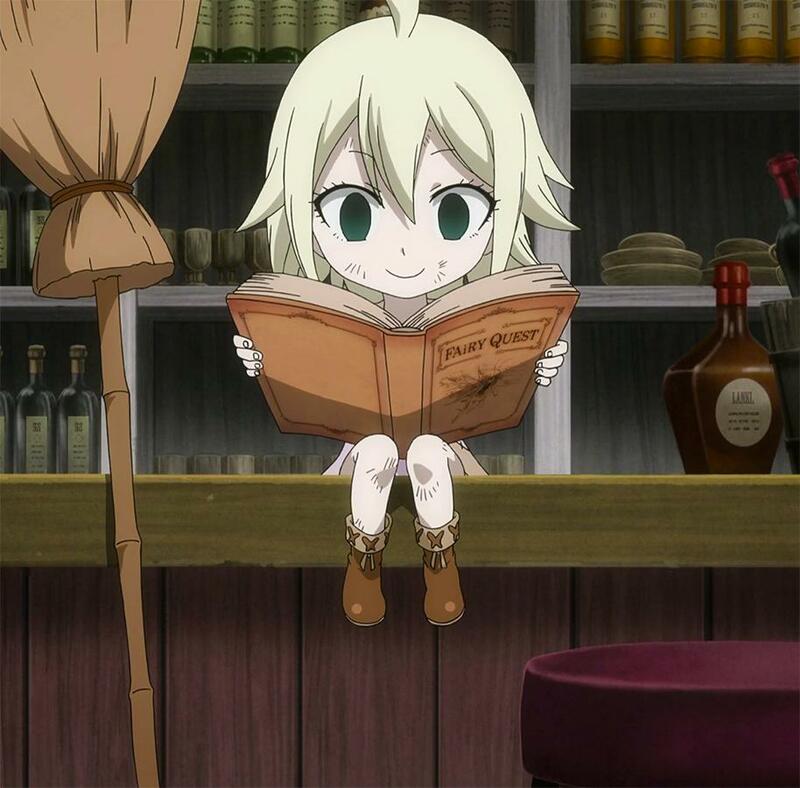 And, we know from the Fairy Tail Zero arc that she always wanted to meet a fairy. So, fairy wing headband, with the headband part hidden in the hair? For most of the Fairy Tail Zero arc, she is shown with her hair wings. 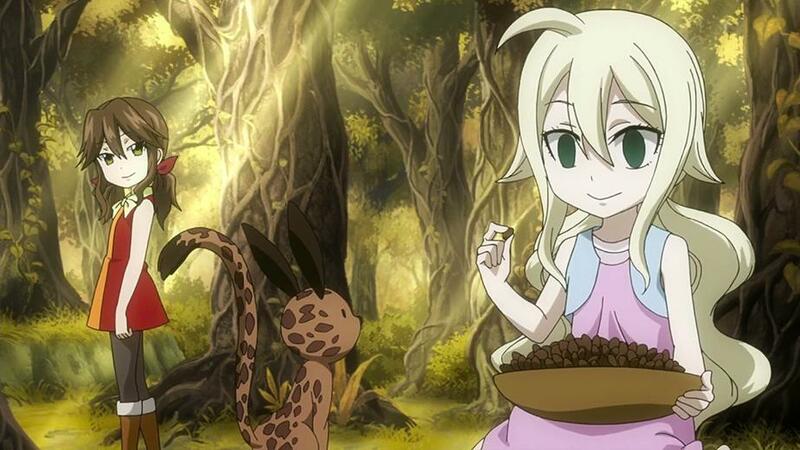 But in episode 97, shortly after learning magic, she re-introduces herself as "Black Magic Mavis" . 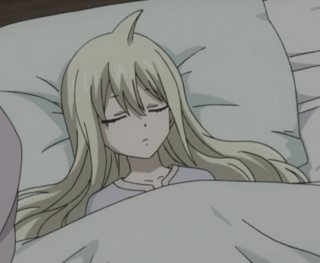 After casting "Law" in episode 98 and 99, she is unconscious and in bed with her tattered clothes having been changed and no hair adornments. After she regains consciousness, I don't believe we ever see her again without her hair wings as far as I can recall except in some flashbacks to her youth in the last episode of the Fairy Tail Zero arc, episode 100. I believe it is an additional accessory which is worn by her not for any explicit purpose. Perhaps to resemble an angel or fairy. I think her wings are simply something to make her unique, but perhaps they will later be revealed by the artist, creator, etc. ***Mavis is very unique but she still has a plain character. If you think about it she probably could be confused with an regular character. ***Most characters have something about them: Natsu has his scarf, Lucy has her keys and devil tail whip, Grey has his stripping problem. It is probably just one of these qualities each character has. What is the necklace that Mirajane wears around her neck? Are Coco and Jellal (aka Mystogan) siblings? Why does Gray have to kill END? 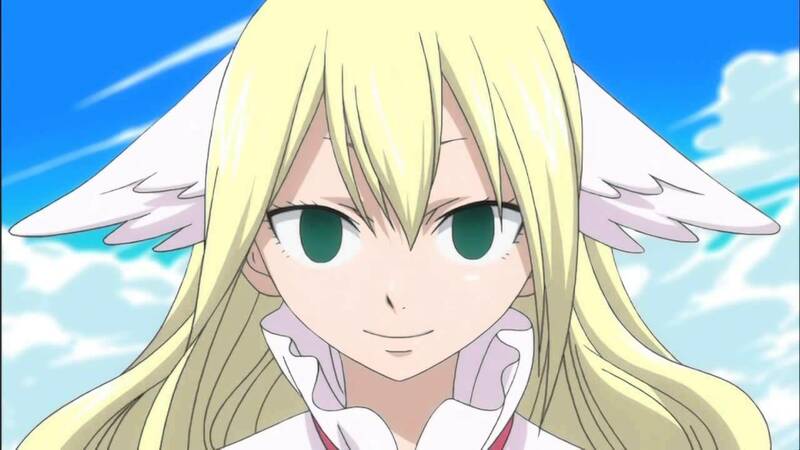 How does Mavis form her strategy for the Grand Magic Games if they didn't know what the game would be? Does Wendy eat air to help her with her power? Does Wendy Marvell have a couple? If not, why?